Ever since my childhood days, I had been enthralled by the stories of the hideous mysteries of caves. The fear factor started from the stories of Tom Sawyer, Ali Baba and Forty Thieves, Aladdin. The adventure of Tom Sawyer in that mysterious cave scared a hell out of me. I had enjoyed cave exploration to my heart’s content at Ajanta-Ellora, Elephanta, Udaigiri. But at the end of the day the brilliance of human artistic prowess had fascinated me more than their original natural beauty. But this time the experience was something new which I had never felt before. I was left awestruck in front of Mother Nature and the experience was altogether amazing. 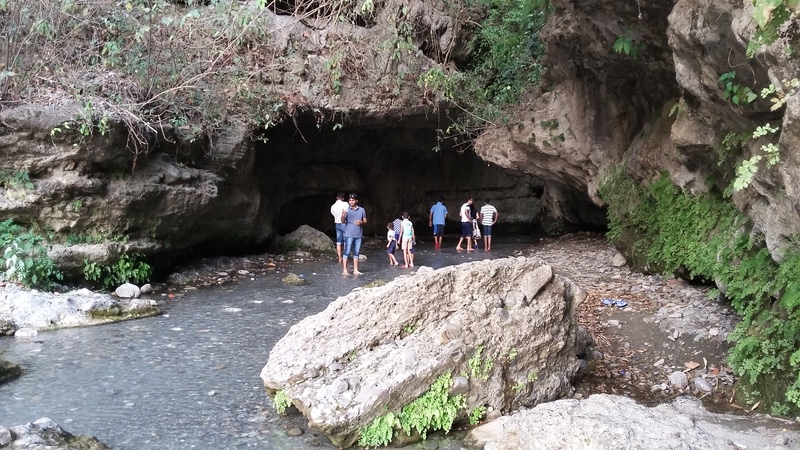 Today I am going to present you Dehradun’s Robber’s Cave. 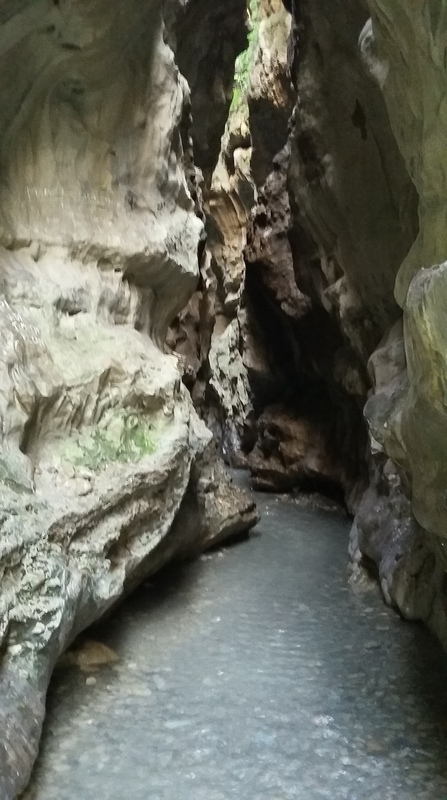 The Robber’s Cave, locally known as Gucchupani, is a natural river cave formed from a mountain spring in the foothills of the Shivalik ranges of Dehradun. 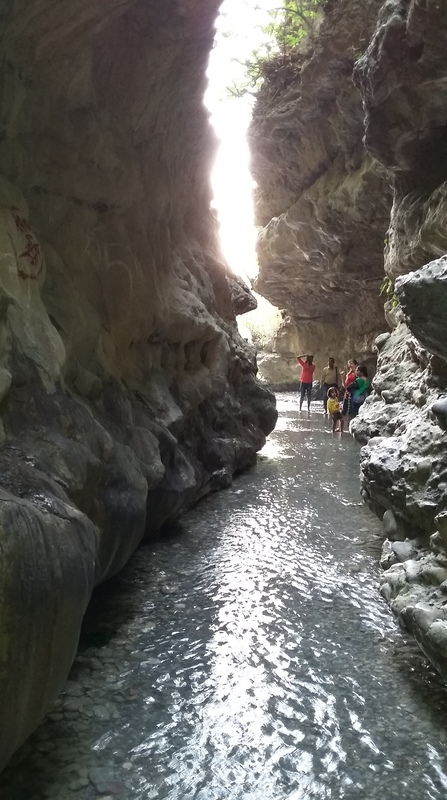 The cave is located at Malsi, approximately 8 KM from the city of Dehradun. 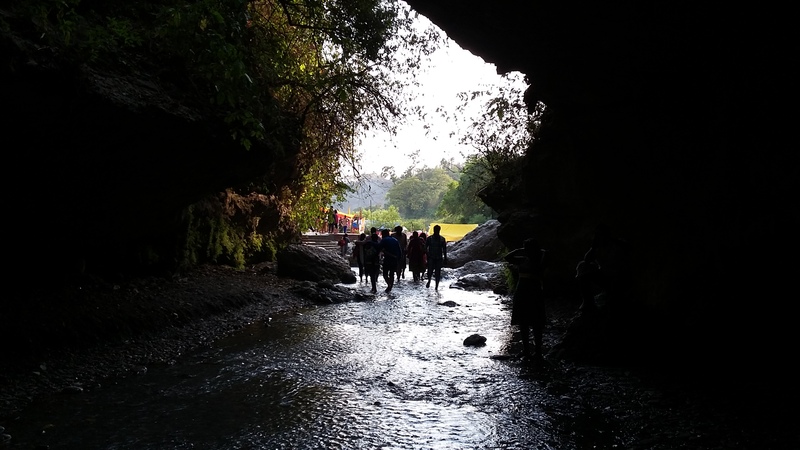 Although the cave is only 600 metres long, with nobody around you it has a fear factor with the tall dark stony walls and the cold river flowing over your feet. 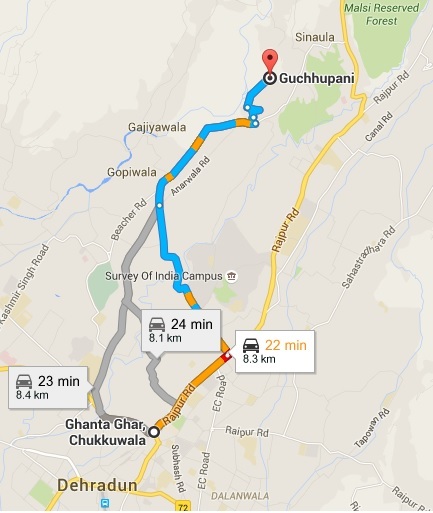 One may book a tourist cab or auto rickshaw from the heart of Dehradun city and take the “Supply Road” after driving through the Rajpur Road from Ghantaghar (Dehradun’s Clock Tower). 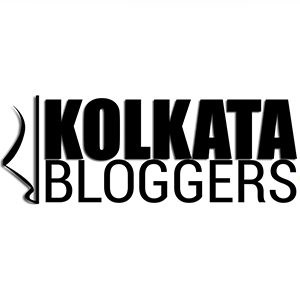 It takes almost 20 mins to reach the spot on a cab from Ghantaghar. It was going to be six in the evening when I decided to get out for breathing fresh air and I knew it had to be at the Robber’s Cave. I took an auto and it dropped me almost near to the cave premises. 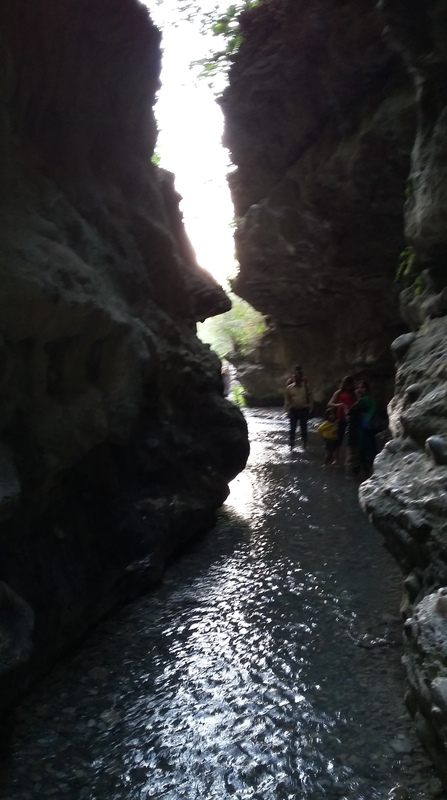 As my trip to Dehradun was a part of an official trip, I hardly carried any slippers or shorts to explore the cave. But in our country every tourist spot is blessed with short cut arrangements. A pair of slippers were easily hired and folding up my trousers was not a hard task. It was good to see that the Uttarkhand Tourist development authorities had ensured a ticket of Rs 25 per head for maintaining the cleanliness and goodness of the place. It was getting a little bit dark and many of the tourists were returning back. 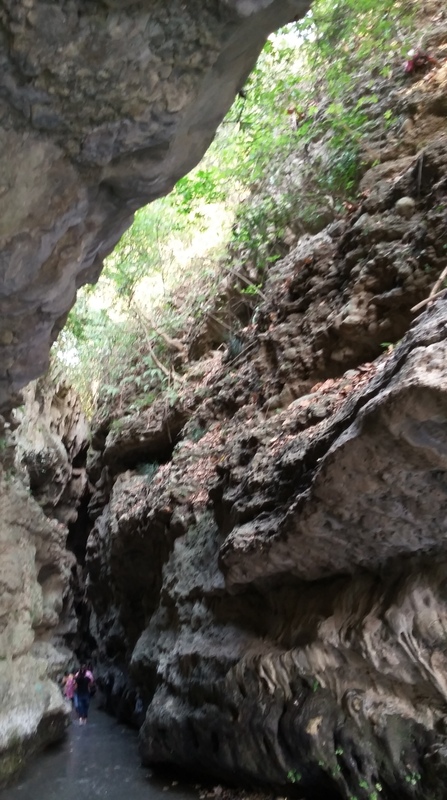 The very sight of the cave entrance thrilled me. It was dark inside, with the little river gushing out. The wide oval shaped entrance was looking none other than the gaping jaws of a hideous monster. The very thought of this ran a chilling sensation through my back. With very few people around me, I decided to move in. 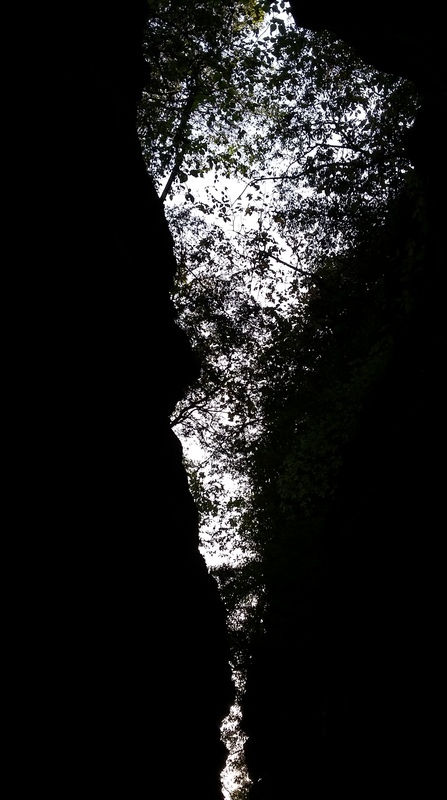 Suddenly a semi dark tunnel funneled me into a ravine with tall, dark rocky walls. The tiny river flowed by amazing swiftness over my feet. Although there were hardly any water, yet is was an adorable feeling. I loved the kiss of the gurgling waters and the chill of the flow over my feet – it was an amazing feeling. 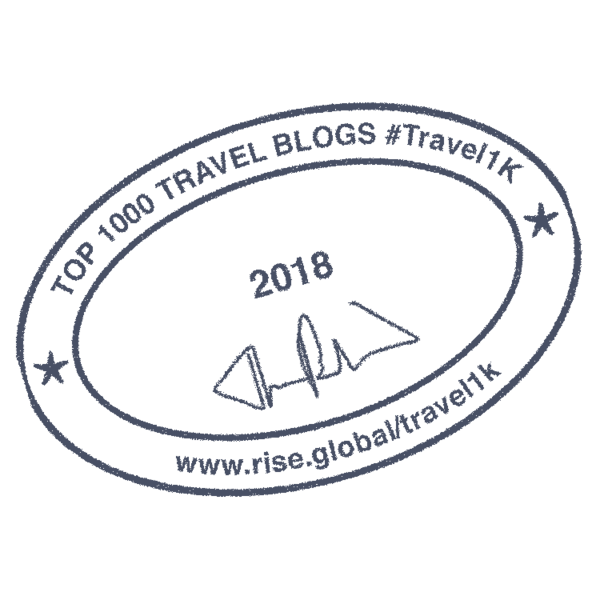 After crossing the narrow tunnel, the cake opened to a gorge with rocky sides capped by lush green jungles which provided a canopy over the flowing river. I wondered if I could climb the walls and reached the apex, whether the river would have been at all visible due to the tree and bush cover that lay wide over me. As I moved further inside the cave, I was surprised to see a clear opening with a lot of light ahead. The trees were more visible above and even I could see a glimpse of the evening sky above me. The sudden change of darkness to light was something unique here. It was entirely something amazing, an act of Mother Nature. 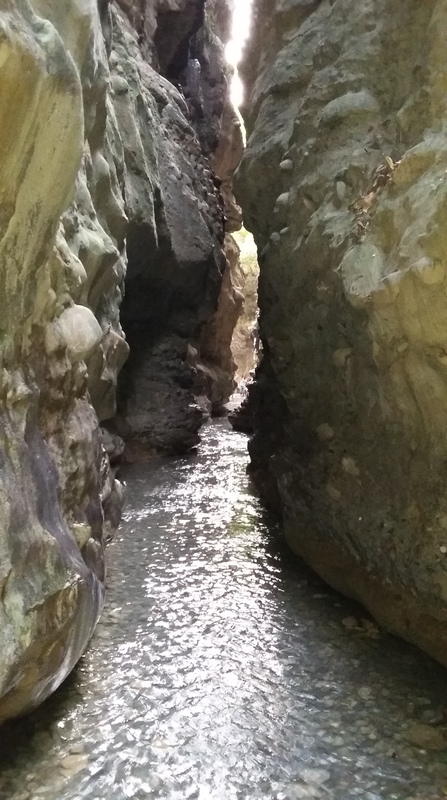 The cave had a dead end with a tall rocky mountainous wall ahead of me and a gushing waterfall creating a mini swimming pool below it. The very presence of this hidden waterfall made this place so lovable, romantic and adorable. 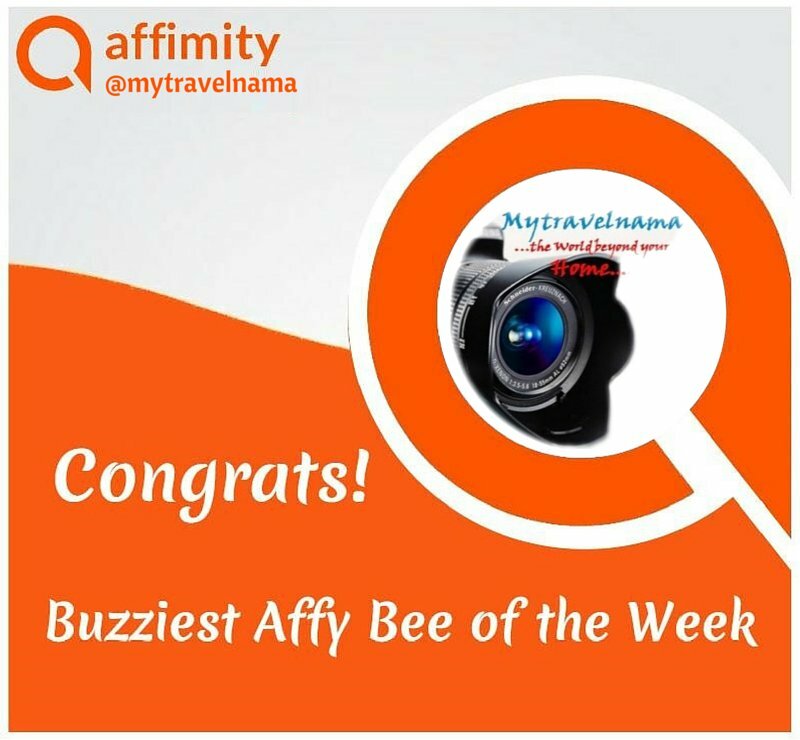 The rturn journey was equally memorable as compared to the onward journey. I hope that my snaps would speak the rest.